Below are the new features, system enhancements, and bug fixes for v8.6. As always, if you have any questions about a feature, please contact your Implementation Manager or Customer Support. [Enhancement] Itembank- Add Materials- Users were becoming confused by the blue-colored “Add Material” button. It was thought to be a mandatory step, which sometimes prevented a user from moving on through the process. We’ve made the button less “disruptive" and added some inline help to clarify what this action does. Get back to makin' those assessments folks! [Enhancement] Online Testing- Hallelujah! Teachers can now reset portal passwords from the online testing proctoring screen. For more information on this feature, click here. [Enhancement] Assessment List- Added a Favorites filter to the Assessment List. 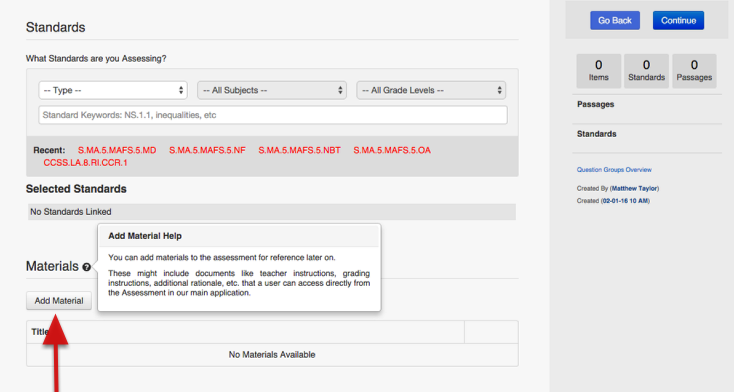 Now, you can find any starred or 'Favorited' assessments quickly! This includes both personal and district favorites. [Enhancement] Assessment Response Frequency Report- This report can now be run by percentage. 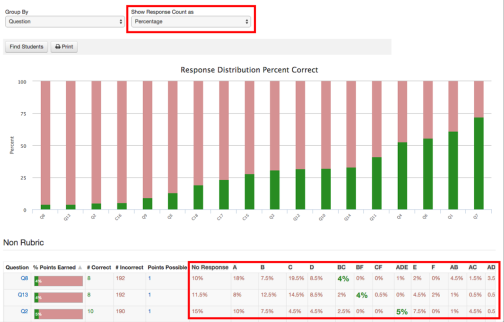 Before, users were only able to get the raw count of students who responded with a response to each question (EX. 5 students answered “B” for Q1, which was an incorrect answer). However, this made it difficult to determine how many students this impacted (you had to hand calculate the math to determine the percentage of students, boo!). Fore more information on the Assessment Response Frequency report, see the Report Abstract here. [Fix] Performance/Portal speed- We've been working hard behind the scenes to improve overall performance and Home Connection Portal speed. For further information on these reports, see the Report Abstracts here. 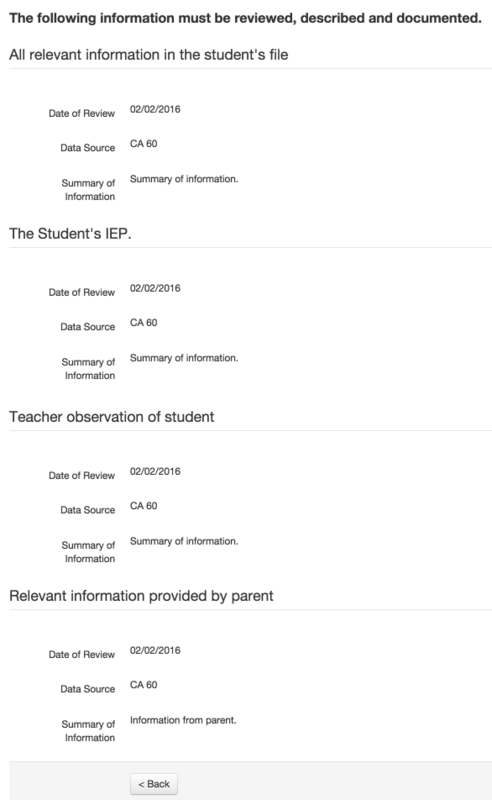 [Enhancement] Report Cards- Comments- We’ve updated Grade Comments to ensure that comments that are set up to be available only to specific sites won’t show up on the Report Card entry screen where such comments are restricted. To set up Grade Comments, go to Admin Gear > Other > Code Management > Grade Comments. [Fix] Report Cards- Fixed Predefined Comment fields set to Allow Printing of Current Value Only not syncing with Entry by Layout issue. 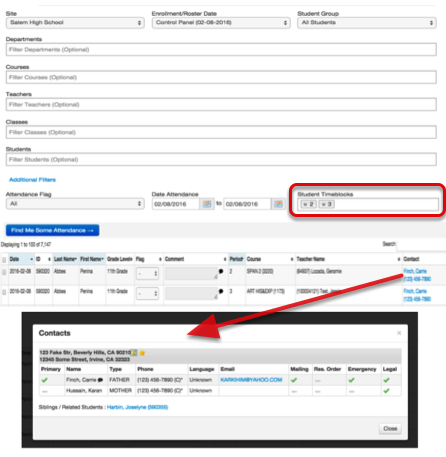 Previously, setting Predefined Comment fields to Allow Printing of Current Value Only prevented teachers from displaying the dropdown items of comments to select from the supposed to be clickable fields in Entry by Layout page. Now, Predefined Comment fields in Entry by Layout page are clickable and display a page where dropdown items of comments are available with the same list of data displayed in Field Entry page. [Fix] Gradebook- SBGB- Fixed Standards-Based GradeBook not respecting Gradebook’s preferences. Previously, teachers reported that a student assignment’s standard score (when using only Power Law calculation) and overall grade calculation result were incorrect when the value for Calculate Blank Score As… was set to Not Zero and Not Missing. 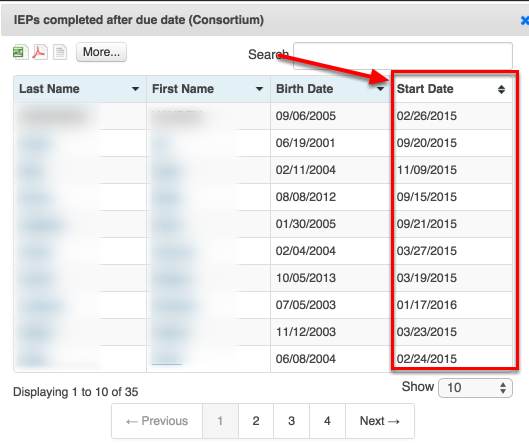 Now, correct standard score and overall grade calculation results are displayed when assignments has empty or blank scores. [Fix] Gradebook- Views- Teachers reported that they were not able to delete assignments from Spreadsheet View. We’ve traced and fixed the cause of the glitch. [Fix] Gradebook- Fixed an issue on linking of assessment score to GradeBook. [Enhancement] Attendance- Mass Attendance Updates- Added the ability to search by timeblocks, as well as show contact comments via a direct link to contact information (Can click on the name of the contact in Contact column). For more information on Mass Attendance Updates, see the help document here. [Enhancement] Transcripts- Printing- Basically, we made them prettier. [Fix] Attendance- Fixed an error where the Mass Attendance Update filter form was resetting after certain fields were modified. [Fix] Behavior- Fixed an edge-case issue where behavior incidents could not be updated if the student scope for the incident had been modified. 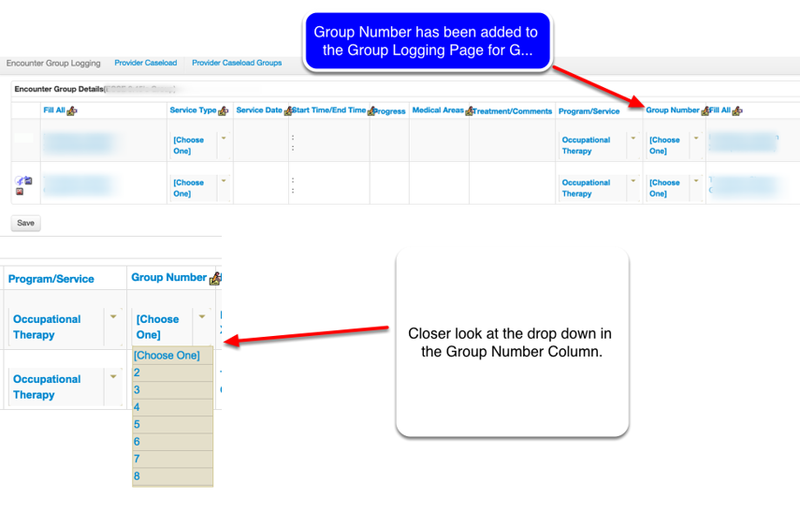 [Enhancement] We have added the ability to use the NEW drop down of "Group Number" in order to add the number of students in a group therapy session to the Group Encounter Page. Note: If adding a group encounter via an individual student you will still need to add the number of students in your group in the Treatment/Comments section. [Enhancement] The MDR (Manifestation Determination Review) continues to move forward. Since the last release we have added MDR Considerations for Review. 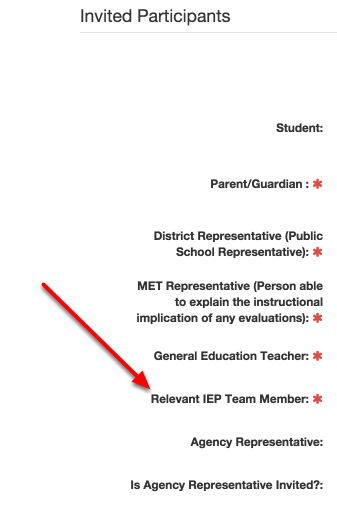 [Fix] Spelling correction for Relevant IEP Team Member on Invited Participants Page of the MDR Process.